Liverpool got back to winning ways with a 1-0 win at Brighton. 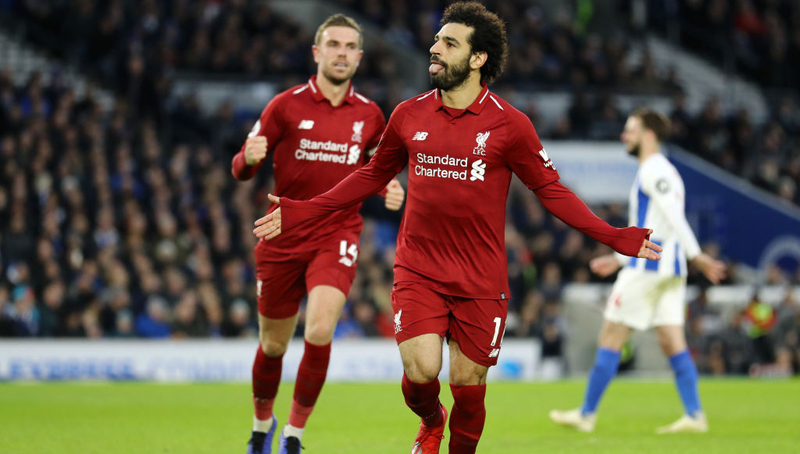 Liverpool returned to 2018/19 Premier League action without their unbeaten record, but a 1-0 win at Brighton – courtesy of a Mohamed Salah penalty – ensured their gap at the top of the table was back at seven points. 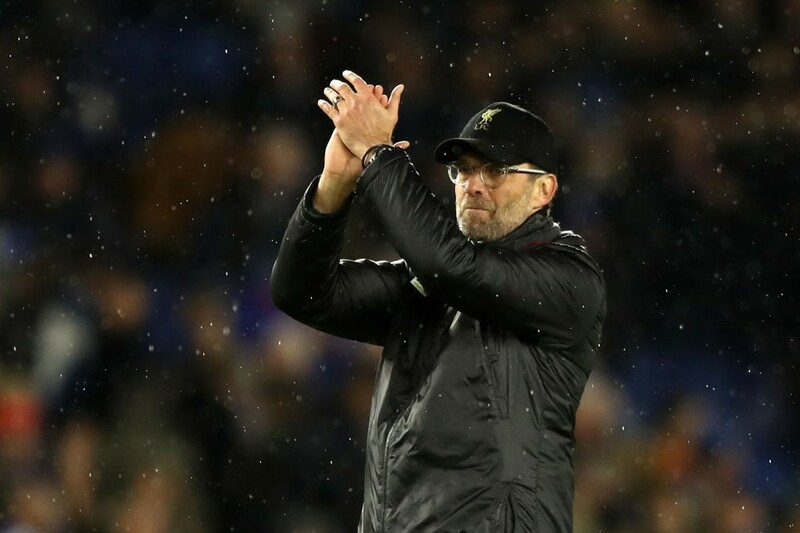 Defeat to Manchester City on January 3rd – they’re next in action on Monday – and a third-round FA Cup exit to Wolves meant Jurgen Klopp’s side had opened up 2019 without a victory. However, despite struggling to make inroads against an organised Brighton outfit, they squeezed another important three points from a tight fixture thanks to Salah’s second-half penalty. The Egyptian was their best attacker after the break and he was hauled down by Pascal Gross after slaloming into the box. He then emphatically dispatched the resulting penalty in the 50th minute for his 14th Premier League goal of the season, his 17th in all competitions. A myriad of talking points arose from the game and here are three from a Liverpool perspective. There’s no points for style, but there was three of them for persistence. From eight games in December, eight Liverpool victories arrived alongside 23 goals scored and just three conceded. Klopp’s men tore through the final month of 2018 and they did so with a throwback to the attacking vivacity displayed last season. But having opened up the New Year by losing to City and then Wolves in the Cup, it was a return to the more restrained and efficient Liverpool with which this title bid has been founded upon. An injury crisis at the back is perhaps a mitigating circumstance as Fabinho’s versatile qualities meant he was forced to add centre-back to his list of fluid positioning. When Trent Alexander-Arnold almost added to the injury list after rolling his ankle in the warm-up – the full-back did recover to take his place in the XI – it made sense for the Reds to be more methodical. For that, the onus was on the attack. Indeed, this was a fixture Klopp needed his forward players to really step up and the German found just the man in Salah. Granted, he was quiet in the first half but after the interval, he was brilliant. It seemed the lights had come up and throughout the second-half Salah was his usual dashings of sharp, cute and quick-witted football. Those hallmarks were displayed in microcosm with his penalty reward. Salah darted into the right side of the box, turned his man, waited for contact and was dragged down by Pascal Gross to earn the opportunity to score from 12 yards, doing so emphatically. It was his 14th league goal this term and from then on, he was Liverpool’s source of inspiration, dropping deep to quick-start attacking transitions and then bursting forward to try and finish them off. He should have had a second when missing a clear chance as the ball was squared to him late on, but his job was already done. The career of Jordan Henderson at Liverpool reads like this: credit against the elite sides, criticism versus lesser opponents. It’s easy to see why the England international is a favourite of Klopp’s when you consider his efficiency in possession, positioning and knack for an interception. However, those skills are far more useful against much more adventurous sides and when tasked with playing in a midfield two alongside Georginio Wijnaldum at Brighton, the captain was pretty poor. He overhit passes and didn’t really look for options beyond the simple, even with dangerous passing lanes open to him had he been able to shift his body into position. Brighton were well disciplined and it required a bit of guile to knock them out of their shape. Henderson doesn’t offer that. To his credit, when Liverpool switched into a 4-3-3, he was better, positioned higher up the pitch and attempting for more incisive passes. In a midfield two against a deep defensive block, he’s infuriating to watch, though. No part of this victory was particularly impressive but Klopp will not care one jot when another three points are added to the tally. The German was ecstatic with his side’s narrow 1-0 win and he ought to be with the pressure now swinging back on City who host Wolves on Monday night. It’s often said of title-winning teams that embracing the grind is the most important trait to attain. 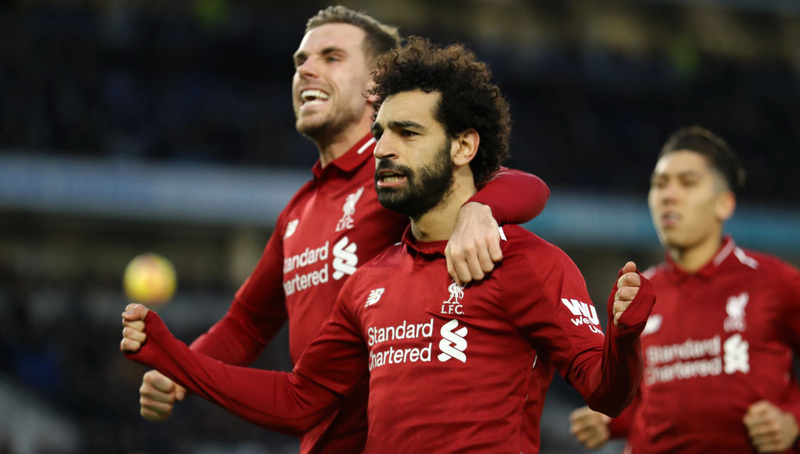 Liverpool have certainly acquired it this season and just as the Reds looked to be heading into a testing period with injuries and defeats piling up, they remained in the position which matters most – the lead. Liverpool stretched their lead at the top of the table to seven points after a modest 1-0 win against Brighton. This will further put pressure on Manchester City, who face Wolves on Monday. Both teams failed to create many chances and eventually, it was Mohamed Salah’s second half penalty which decided the game. 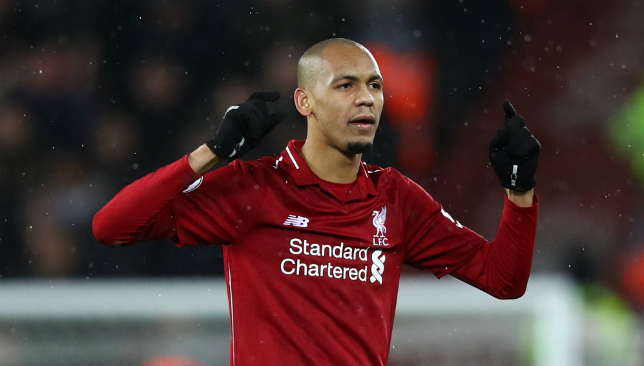 With Joel Matip still to return and Joe Gomez plus Dejan Lovren sidelined due to injury, Fabinho was asked to operate from the centre-back position by Jurgen Klopp. The Brazilian did a good job at a position he is not fashioned to function in. Arguably the best centre-back in Europe, Virgil van Dijk had yet another near-perfect game but Fabinho put on an equally impressive show by the Dutchman’s side. Positioning, tackling, blocking – Fabinho’s game had it all. The 25-year-old was one of the best players on the field and ensured that the leaders did not drop any points on their trip to Brighton. FT: Brighton 0 #LFC 1: Mo Salah's penalty early in the second half enough to send Klopp's side 7pts clear at the top of the PL table. Massive win. Wasn't pretty and they had to dig deep. Fabinho the pick of the bunch. Positioning: It’s never easy to function in a different role when positioning sense is taken into consideration. Safe to say, Fabinho did a great job in ensuring that the Liverpool backline maintained a good defensive shape and remained unrattled by Brighton’s annoying swarm of attacks in the death. The summer signing from Monaco also made van Dijk feel comfortable to move out of his area and play the ball to Andrew Robertson who played very high up the pitch throughout. Blocking: Fabinho can lay claim on two of the three points Liverpool managed to garner. Although blocking a shot is an aspect of good positioning, Fabinho’s crucial stops against Brighton deserve a special mention. 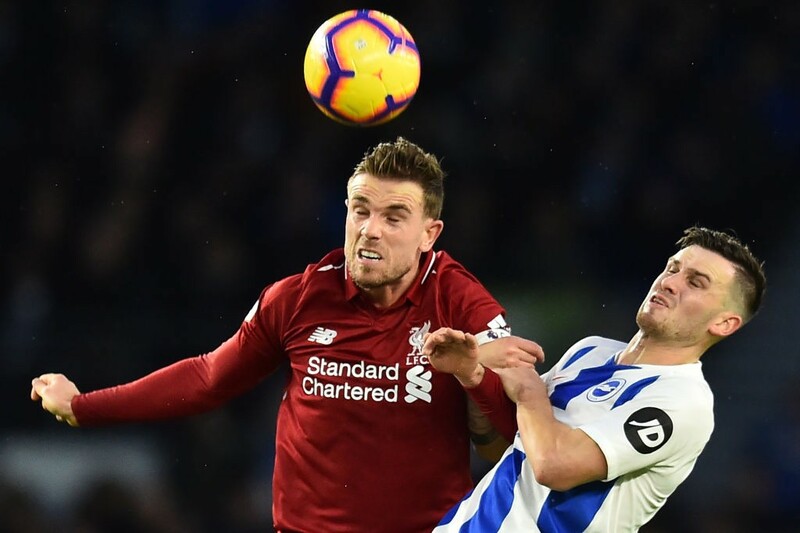 The Brazilian blocked Jurgen Locadia’s shot from the right side in the 14th minute, which was Brighton’s first real attack on the Liverpool goal. In the 59th minute, Pascal Gross found himself in the centre of the Liverpool box with the ball at his feet and an excellent chance to level the game. But Fabinho sensed the danger and put his body in the way. Liverpool had to deal with yet another heart in the mouth moment in injury time when Gross found himself in a promising position in front of goal, only to be denied by a stretching Fabinho. This is probably as good as it could have got for Fabinho in his first game as a centre-back. Outperforming the best centre-half in the league is no mere joke and the Brazilian deserves huge credit for Liverpool’s win on the night. This further opens up possibilities for Klopp and we can probably see the van Dijk-Fabinho partnership more often, in case of any injuries to the first choice Gomez. Below, we rate how the league leaders fared at the Amex Stadium. Alisson 6 – Relatively relaxed fixture for the Brazilian goalkeeper considering Brighton failed to muster a single shot on target for the first hour. A 13th clean sheet of the season is a welcome statistic. Trent Alexander-Arnold 6 – Huge concern greeted the opening whistle with the young full-back struggling after rolling his ankle in the warm-up. Perhaps explains why he was a little more restrained, although he made a vital interception late on. Virgil van Dijk 7 – A 50th Liverpool appearance for Van Dijk and this was much like the other 49. Read the game so well and helped to calm any anxieties around Fabinho’s new role in alongside him. Fabinho 6 – Glenn Murray is far from the most mobile forward so was never likely going to test the Brazilian too much. However, he was still caught out of position on a couple of occasions. Did produce a great block to deny Gross, though. Andrew Robertson 8 – Same every week. Liverpool struggled for fluidity in this fixture but the Scot remained brilliant. A massive threat going forward, dangerous delivery as his signature and more than at ease to quell any Brighton attacks when flying back into his defensive slot. Giorgino Wijnaldum 7 – Can’t be misstated how his recoveries when teams try to clear danger is so important. Was the brighter of Liverpool’s midfield with his neat touches and angled passes giving the visitor’s control where it mattered. Jordan Henderson 5 – Against a deep defensive block, Henderson is not the man you want in midfield. For the big games, it more than makes sense to have his energy and efficiency in there. But he was far too safe against Brighton and he struggled to make an impact. Xherdan Shaqiri 6 – Operated out wide in the FA Cup defeat to Wolves but returned to a central berth against Brighton. Looks more comfortable there but this wasn’t his best display. Was hooked with Klopp constantly on his back for the Swiss’s slow transitions defensively. Roberto Firmino 6 – Dropped the ball off into midfield effectively and then tried to find some space in attacking areas. Buzzed around without the boldness we’ve become accustomed to during his time for the Reds. Sadio Mane 7 – He was probably Liverpool’s biggest threat in the first half and whenever he pulled wide to the left touchline, looked to create trouble for the visitors, either by roaming in field or fizzing a cross into the box. Mohamed Salah 8 – The Egyptian turned it on after the break. Barely featured in the first 45 minutes but then turned on the style when they needed it most. Won the penalty, scored it and then endeavoured to create or nab another. Did miss a sitter late on, however, which will no doubt infuriate Fantasy Premier League owners. James Milner 6 – Seemed to warm up for an eternity with Alexander-Arnold threatening to come off from virtually the first minute. Did arrive after the break to replace Shaqiri as Klopp opted for midfield control with a switch from 4-2-3-1 into 4-3-3. Naby Keita N/A – Brought into the action late on for Mane to run down the clock. Divock Origi N/A – Stoppage-time switch for goalscorer Salah.